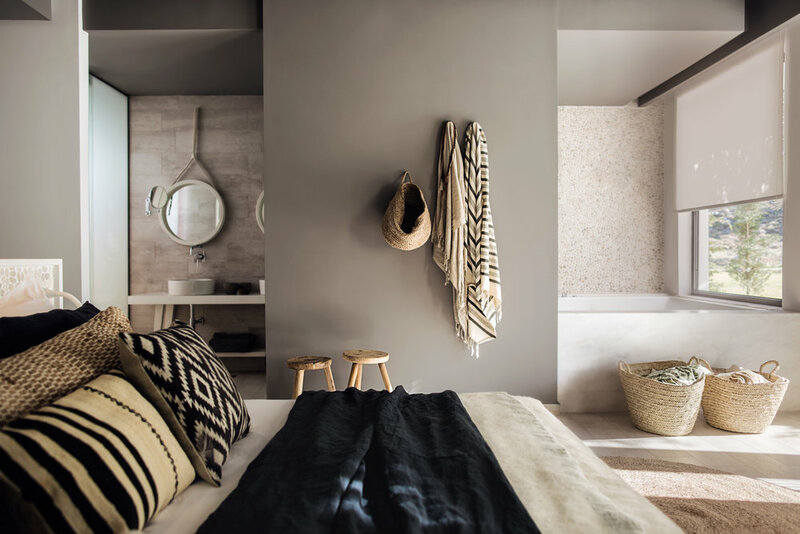 In the idillic Greek island of Rhodes, Casa Cook Rhodes combines their bohemian, breezy beach style approach with an new, urban flair. 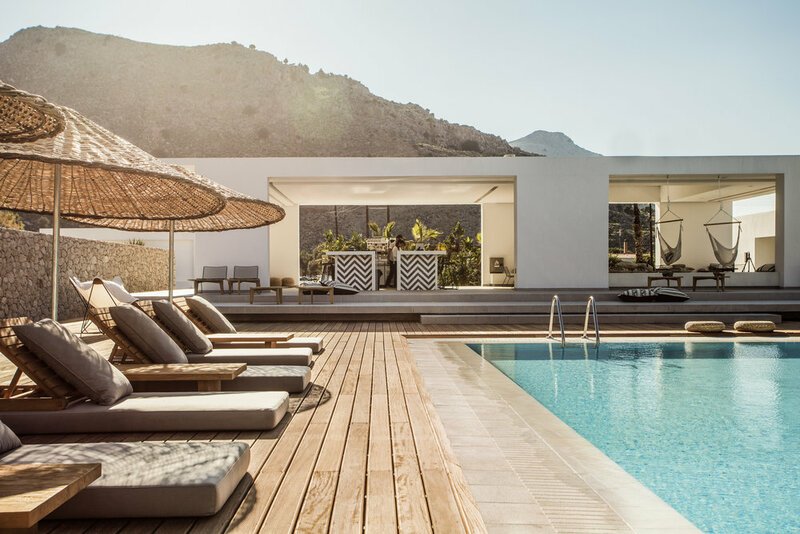 Thomas Cook's bohemian spirit captured us before with Casa Cook in Kos, the newest addition to the Cook family which opened this month. 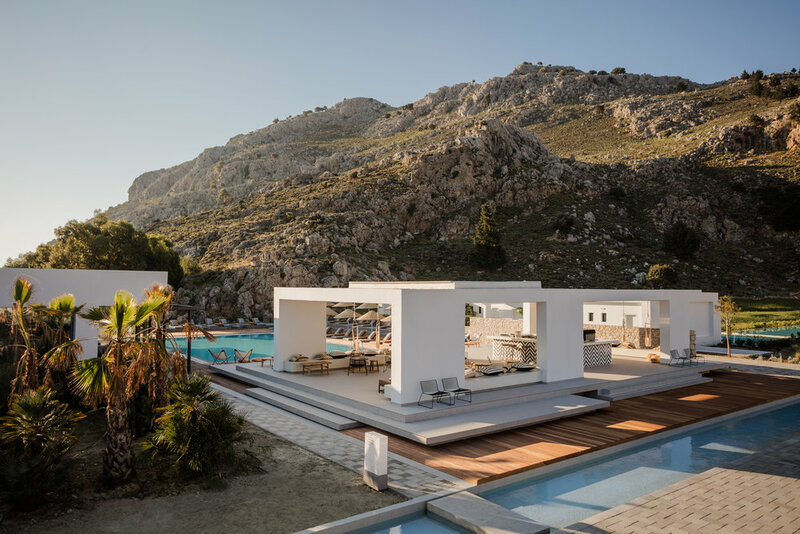 Designed in collaboration with Greek architect Vana Pernari and interior designer Annabell Kutucu, their iconic minimalist architecture meets an eclectic design, creating a laid-back luxury atmosphere. 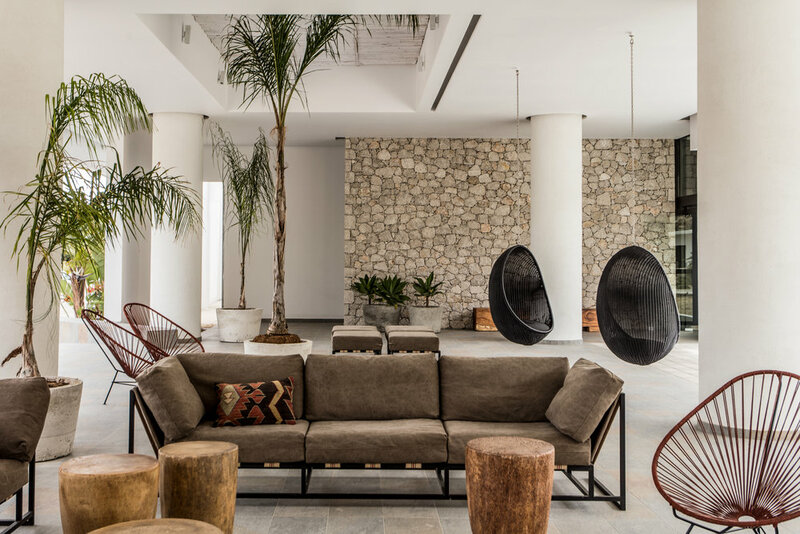 The 95 room hotel is nestled within the little town of Kolymbia on Rhode's eastern coast, a quiet bohemian retreat made of white buildings with exposed stone walls and turquoise pools, framed by lush vegetation, wooden decks, pergolas and broad walkways. 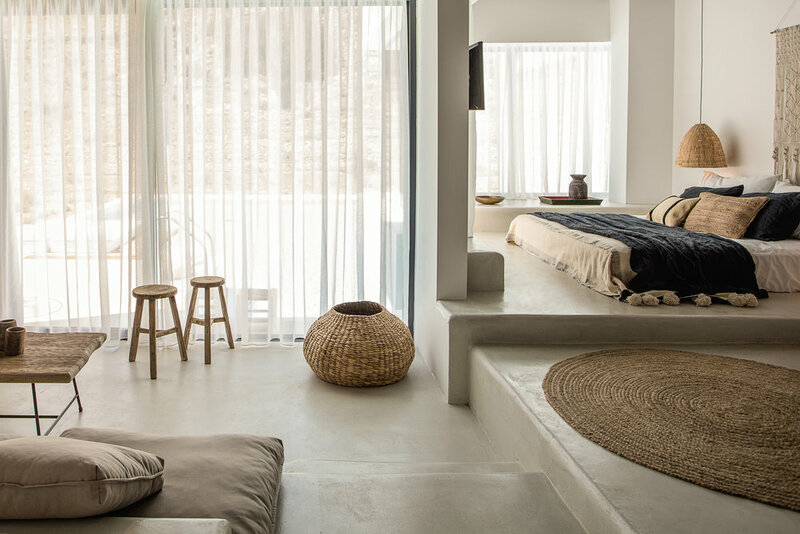 While staying at Casa Cook Rhodes, a barefoot, carefree life under the sky is highly encouraged. The design of the common areas invite to socialise with other cool - free spirited guests; sunset gatherings and long tables that inspire guests to unwind together, as well as chilled-out evenings along with the dj's beats. Yet the private terraces, sunbeds and hammocks promise a perfect time-out alone with a book, perfect for lazy moments. The rooms are spectacular. A perfect night is guaranteed with high end mattresses and amazing bedding, and you can also count with TV, air conditioning, mini bar and wifi for a perfect stay. However, the most outstanding features of the rooms are the private terraces which border the pool. Take pleasure in your own private paradise with the hammocks and sunbeds perfect for a nap under the sun. Inspired by the local tradition of sharing and gathering, the communal tables and dishes to share encourage the meeting of old as well as making new friends during your stay. The restaurant's menu features fresh and high quality ingredients, sourced from the island's own producers. Starting room rates, including breakfast, at Casa Cook Rhodes are EUR 101 per night, depending on the booking period. 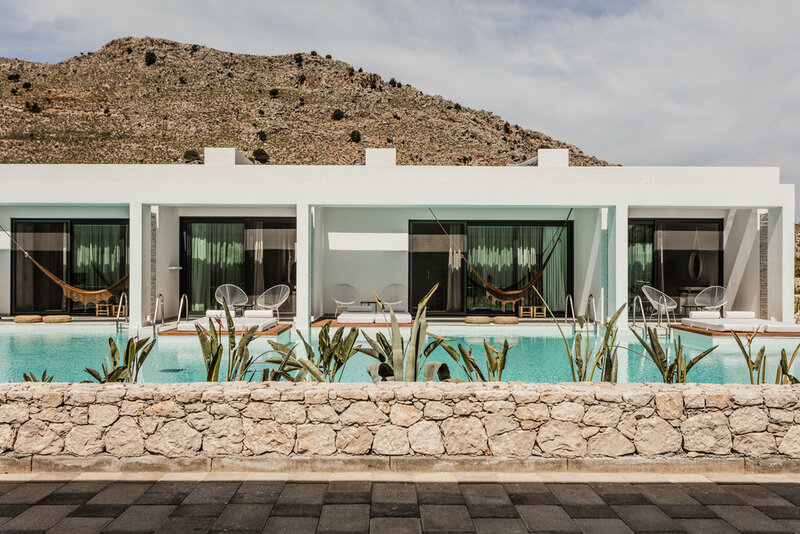 Casa Cook Rhodes is bookable online here.